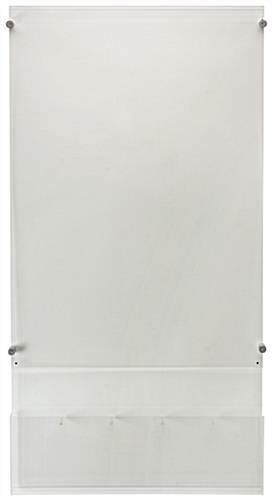 These 24x36 wall signs with pamphlet pockets come with mounting hardware including silver aluminum standoffs with an edge grip design. 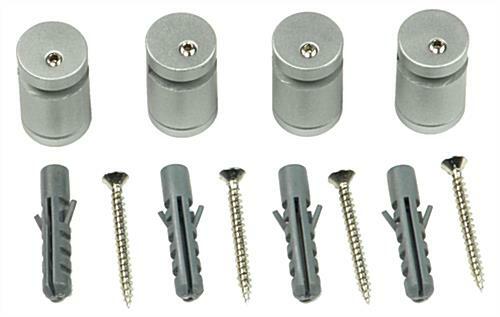 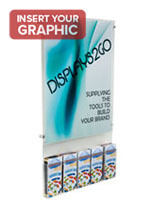 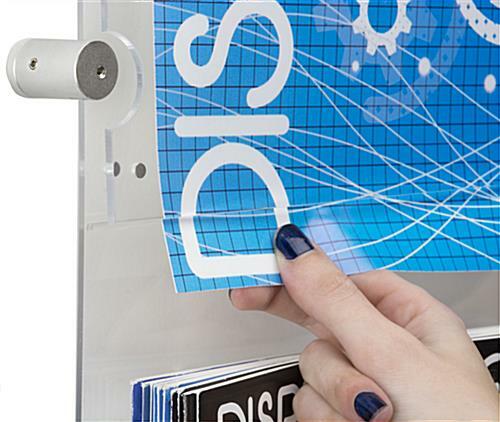 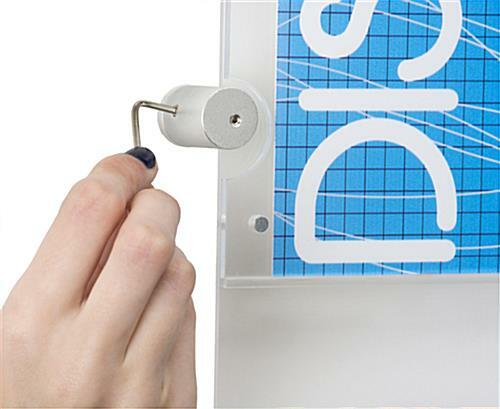 Each display uses (2) plastic panels with button magnets to enclose custom graphics. 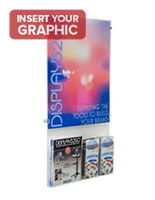 The wall signs have pamphlet pockets for (5) different stacks of 4" x 9" brochures that can adjust to fit (2) 8.5" x 11" catalogs with another trifold leaflet. 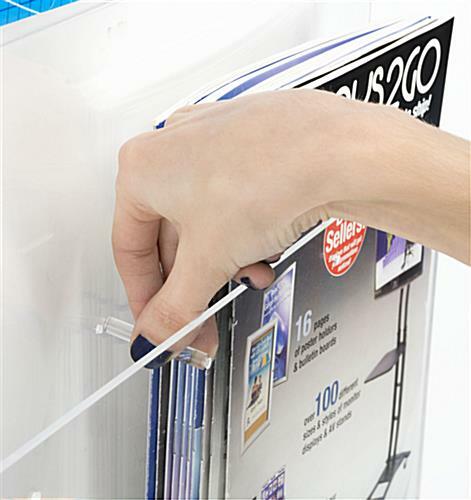 The plastic frames have a portrait orientation and a thin profile of only 2.3", allowing them to fit in small rooms. 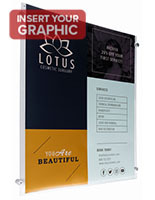 The wall signs protect custom prints from dust, moisture and fingerprints with their tight enclosure, making them a great choice for any business. 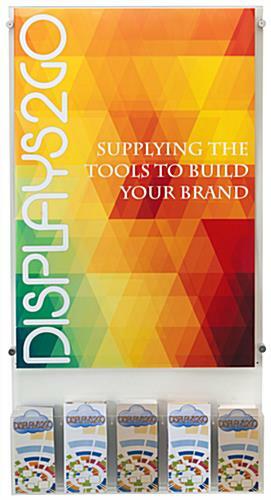 The displays with mounting hardware are also available in 18" x 24" and 22" x 28" sizes. 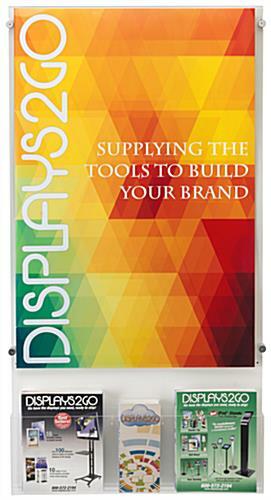 25.1" x 47.5" x 2.3"
24.9" x 8.9" x 2.0"